Vicky Licata has sold her luxury home in Lee's Summit Missouri and has contracted Mayo Auction and Realty to sell her personal property. 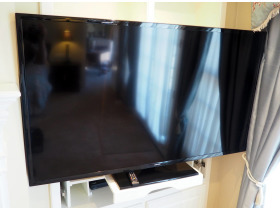 This luxury estate auction has a variety of unique and interesting items that will be selling to the public via online auction. 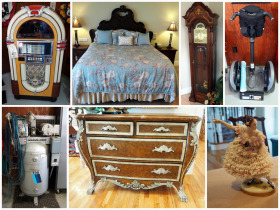 This estate sale has quality furniture, Rowe AMI jukebox, Segway personal transportation vehicles, antiques, quality home furnishings and decor, man cave items, Coca Cola collectibles, appliances, artwork, lamps, Asian artifacts, toys, tools, banquet tables, and so much more. 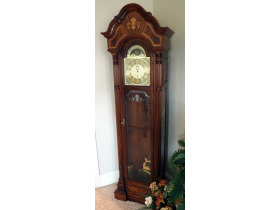 Don’t miss your chance to buy quality items at your price from this online estate auction. See full list of items here. 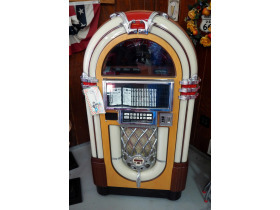 Rowe AMI Coin Operated Electric Compact Disc Jukebox With Keys, Segway IL67 Titanium Human Transport, Charles R. Sligh Grandfather Clock, FrigidAire Upright Freezer, Samsung High Efficiency Moisture Sensor Electric Dryer and much more! 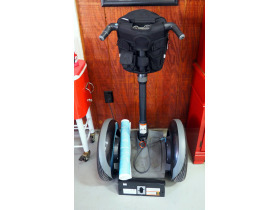 It's easy to bid. 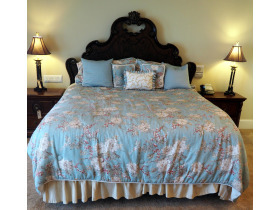 King Sized Bed With Solid Wood Headboard, Solid Wood Hall Tree With Beveled Glass Mirror, Ornate Claw Footed Imperial Style Bachelor's Chest With 4 Drawers And Scallop Accents, Pulaski China Cabinet With Curved Glass and much more! View more pictures. 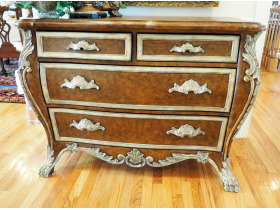 Ultimate Accents Side Board With Granite Top 3 Drawers, Round Pedestal Table With Stamped Veneer Top And Cast Claw Feet, Ashley Bombe Chest With 3 Drawers and much more! Place bids here. Canadian Solid Wood Dining Table, 3 Drawer Imperial Style End Table With Ball And Claw Feet, Henronden Solid Wood Display Cases W/Beveled Glass Doors and much more! View catalog. 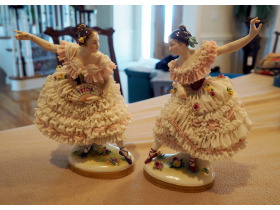 Dresden Style Fine Porcelain And Lace Victorian Dancers, 23" Lion Lamp With Shade, Japanese Fine Porcelain Seyei Geisha Girl Decanters and much more! Bid now. Indonesian Metal & Porcelain Egg With Stand, Ceramic Owl Punch Bowl With Googly Eyes, Arnhart Ceramic Card Players, Hand Crafted 32" Formally Dressed Rabbit Statues With Cast Bases and much more!  See full list of items. Framed Hand Painted Oil On Canvas "Communion" By Artist D.M. Becker 1974, Framed And Matted Under Glass Victorian Print, Framed Print With Metal Accents and much more! Place bids 24/7. 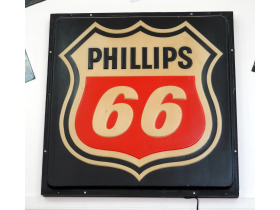 Vintage Lighted Phillips 66 Sign, Miller Beer Electric Neon Bar Sign, Wide Open Electric Coin Operated Blackjack Machine, 1930's State Officers And General Representative From The State Of Colorado and much more! View items. 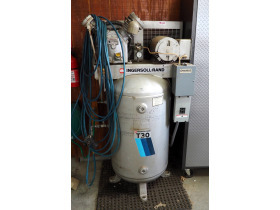 Ingsersoll-Rand T30 Electric Air Compressor, Gladiator By Whirlpool Corporation Diamond Plate Steel Front, Larin Multi Function 5" Bench vise Model 3RBV-5, Kobalt 5 Drawer Rolling Tool Chest Includes Contents And Key and much more! Look before you bid. McDonalds Play Kitchen With Little Tikes Shopping Cart Includes Plastic Food, Little Tikes Play Kitchen Sets, Wire Framed Canopy Doll Bed With Rocker and much more! See current bids.